With over 400 clubs across the United States and nearly 4 million members, 24 Hour Fitness is a pioneer in the fitness industry. It specializes in providing the equipment and motivation needed to get their members into the grind as easy for them. It is part of their passion to empower their members by building communities in their clubs, providing the tools and support to be results-driven while also allowing them to go at their own pace. Founded in 1979 by Mark Mastrov, 24 Hour Fitness has grown to be one of the largest fitness chains in world based on memberships. By club locations, it stands third behind Gold’s Gym and Fitness First. Beginning as a single club named 24 Hour Nautilus then changed its name to the current one in 1994. Todd Smith and Adam Shaw expanded the physical club locations afterwards. From 2004 to 2008, 24 Hour Fitness sponsored the US Olympic Teams. It also developed the show The Biggest Loser with the help of NBC, which first aired in back 2004. Benefits of Joining 24 Hour Fitness / Why Members Like 24 Hour Fitness? 24 Hour Fitness attributes their appeal to their passion in motivation, which them is constantly reinvented to really push members. They are aware of the fact that gyms tend to intimidate people so they make their spaces welcoming to everyone who wants to become part of a community in each of their club. They also offer classes that are diverse in types and levels of difficulty but all that will lead to achievement of personal fitness goals. Personal trainers are available at 24 Hour Fitness and you can book sessions over the phone or by visiting their physical locations. Each training can range from one-on-one sessions, partnered, and small group formats. They also have 25-minute classes called Express. Fitness qualifications for 24 Hour Fitness trainers include a High School Diploma or GED, CPR and AED Certifications, a Degree in any fitness-related field or an approved Personal Training Certification, and must be able to lift 50 lbs. The main draw of 24 Hour Fitness is primarily the flexibility of their operating hours, the diversity of studio classes, and availability and helpfulness of personal trainers. The space is kept neat and the equipment available is maintained well. Aside from the lack in free wipes for cleaning, the gyms’ studio rooms are spacious and this is also a factor as to why members stay loyal to the facility. The locker rooms’ size, while not a deal breaker, could be bigger to make space for larger storage spaces and changing rooms. Their clubs, however, are staffed at all times for ensured security. A Kids’ Play section promises active play with games, crafts, and activities to get kids moving, safe supervision by attendants certified in CPR and first aid and background check passers. Additionally, check-in is ensured to be fast and secure. With the vast number of locations 24 Hour Fitness has and their facilities and equipment, it is considered one of the top choices for gym-goers around America. Memberships for 24 Hour Fitness clubs can be done through their site’s Membership page or by personally dropping by one their locations. Prices will vary depending on the type of membership you avail of. 24 Hour Fitness also offers Special Offers. New memberships start at $29.99. One-club or all-club memberships are available as well. There’s a Basic Monthly Payment membership and Commitment membership for 12 months—both come with initiation fees. Prepaid memberships are also available for up to one-year membership. There is also a feature that allows you to include your family members into your existing membership account. For payments, you can choose to have it automatically deducted from your checking account or credit or debit account. Their EasyPay program also allows you to make purchases in 24 Hour Fitness clubs using a check-in code. 24 Hour Fitness offers a free trial pass that’s good for 3 days, which also includes studio classes. You will be able to work out at any of the 24 Hour Fitness clubs without scheduling an appointment. If you are interested, you may sign up at their website https://www.24hourfitness.com/. You will only need to input your phone number and zip code along with other personal details. 24 Hour Fitness clubs have all the standard equipment meant to provide for every kind of gym-goer’s needs. But it’s the diversity of their classes that really draw people into applying for a membership. Their classes are categorized into: Burn, Intensity, Strength, and Bliss. For Burn, they have three classes each for cardio, dance, and cycling. Cycling classes are held in their indoor cycle studios. Intensity classes are meant for athletic conditioning, martial arts, and lifestyle with 3 types of classes each. Strength classes offers water workouts, ballet barre, and Pilates. Bliss classes focuses more on the overall well-being which includes body and soul. It integrates mindfulness yoga, meditation and regeneration classes. 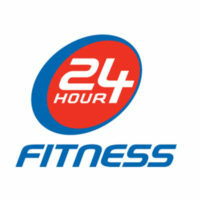 For more information on 24 Hour Fitness membership and cost, visit official site .